With both solar loans and car loans, the borrower will own the product at the end of the term. With both solar leases and car leases, the lessee does not own the product, and when the term ends, has a choice of purchasing it, returning it, or signing another lease. In both industries, if the lessee wants to get out of the lease before the end of its term, he or she is subject to an early termination fee. For both industries, the economics of leases can be ambiguous in comparison to the relatively simple terms of loans. Even if you’ve thoroughly investigated the pros and cons of car leases and loans, you shouldn’t necessarily jump to the conclusion that it will make you an expert in solar financing. While they may be similar, they’re not the same! Term lengths: The term lengths of loans and leases are much shorter in the car industry. Mileage Limits: Car leases have mileage limits, but solar leases have no limits related to usage —you can use all the electricity generated by your solar panel system without impacting your lease payments. Maintenance: If you lease your car, you are responsible for its maintenance, but solar leases generally include maintenance by the third-party owner. 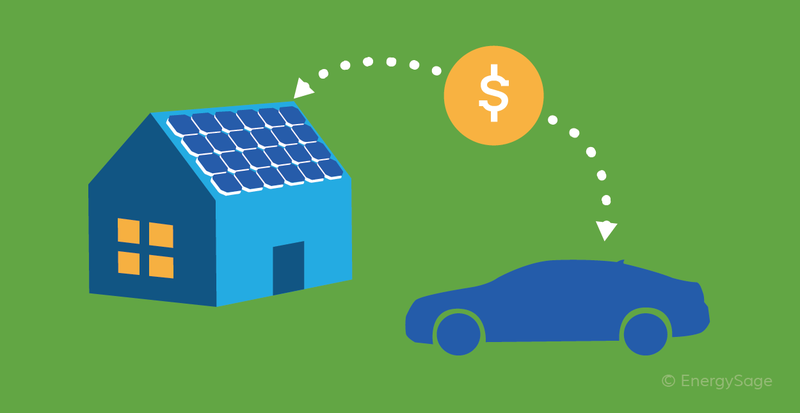 Future value: A car loan borrower can estimate the future value of the car by consulting a resource like Kelley Blue Book, but the future value of a solar array depends on utility electricity prices. However, new tools to estimate the future value of a solar panel system, like PV Value, may change that. Excessive Wear and Tear: Solar panels are very durable and don’t usually have issues with excessive wear and tear, but excessive wear can reduce the financial returns for both car leases and cars purchased with loans, either through extra charges or a lower resale values. Early Termination: Unlike with car ownership, it’s not practical for the borrower to sell their solar panel system during the loan term due to the significant costs of removal and installation. In contrast, with a car loan, a borrower can sell the car at any time and use the money from the sale to pay off the loan. Overall Economic Value: Uncertainties about system buy-out price at the end of a solar lease cloud the overall economic value of a solar lease, but the financial investment for a car lease is clear upfront. Both car loans and solar loans function as traditional capital investments – at the end of the car loan term, the buyer owns the car and can use its value toward another car purchase, and at the end of the solar loan term, the buyer continues to receive free electricity. When buying or leasing a car, you can use Kelley Blue Book and TrueCar to figure out the right price to pay. The EnergySage Solar Marketplace offers the equivalent functionality for solar, providing clear side-by-side comparisons and a network of qualified solar installers to provide the information you need to ensure that you get the best value for your solar energy system. Explore all of the solar financing options available to you, including solar loans and solar leases and PPAs, before you make your solar financing decision.